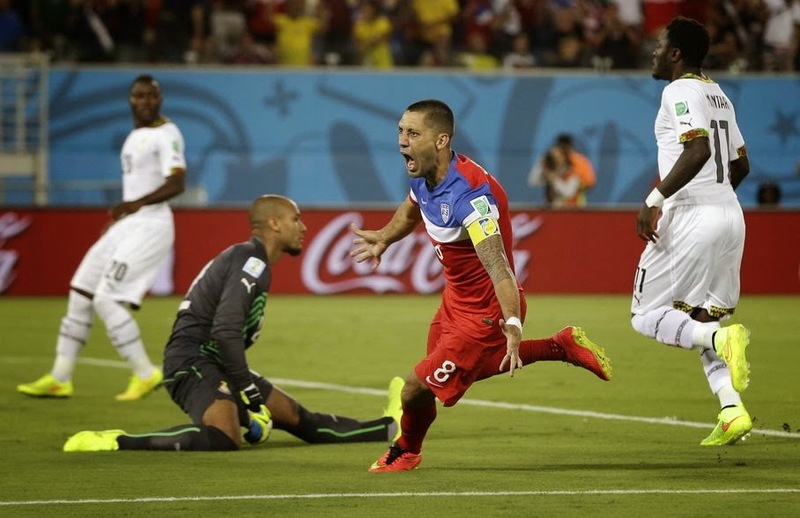 Clint Dempsey scored in the first minute and rookie substitute John Brooks scored a late game winner as the U.S. defeated Ghana 2-1 Monday in the World Cup opener for both. 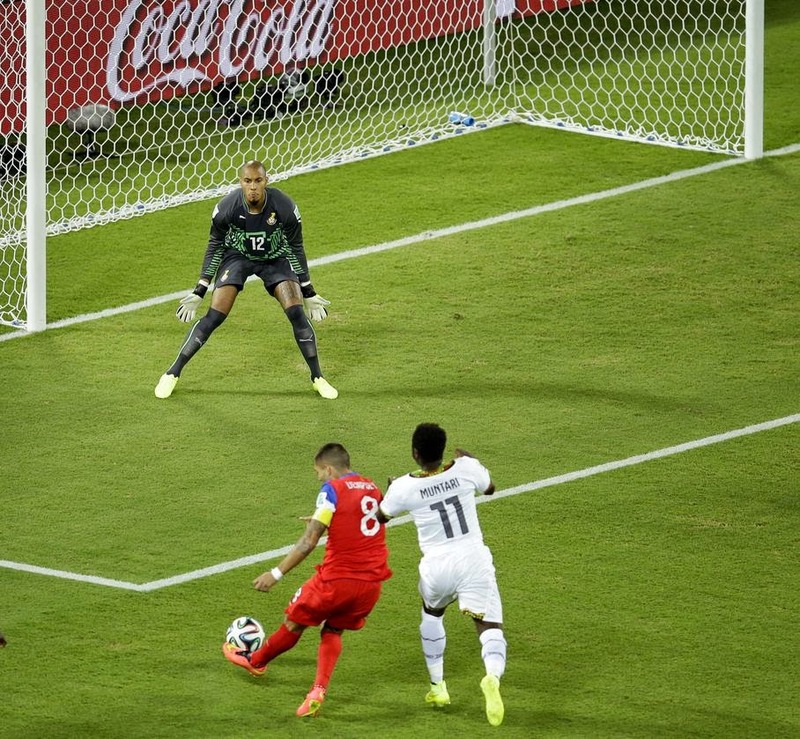 Dempsey's goal came on a low shot just a half-minute into the match. Ghana dominated much the rest of the game, and Andre Ayew leveled in the 82nd minute. Just four minutes later, Brooks - a 21-year-old defender who came on at halftime because Matt Besler was injured - scored off a corner from Graham Zusi. 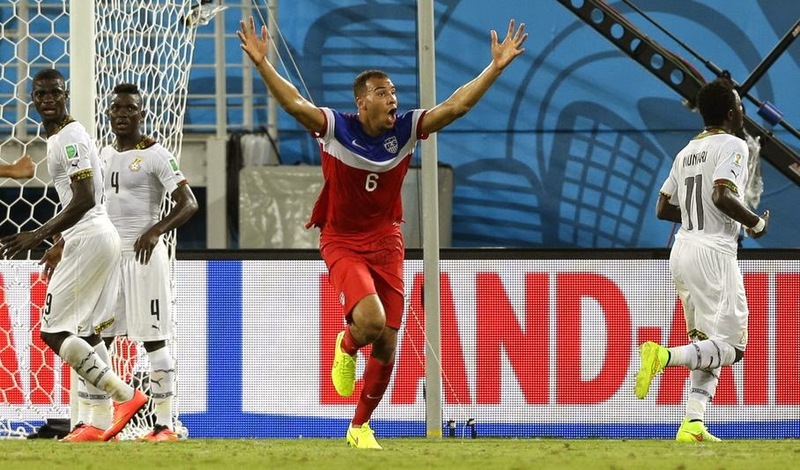 It was the first time an American sub had ever scored in the World Cup. 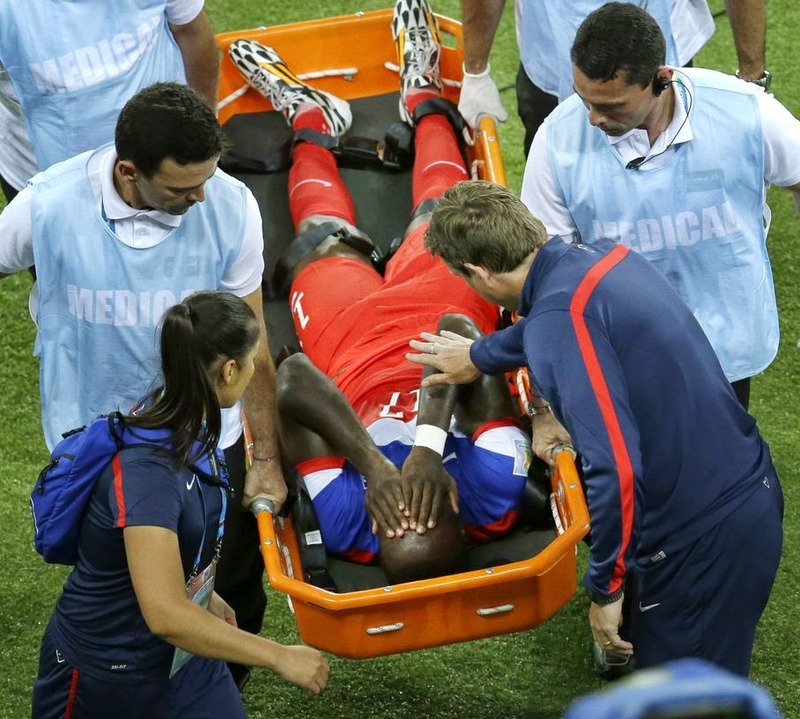 "I said it to the bench minutes before, `We're going to get some chances still,'" U.S. coach Jurgen Klinsmann said. "So we are still in the game after the equalizer, we just need to kind of push and push and grind it out. That's what they did. Here comes a set piece we trained over and over and over that stuff. And he puts it in, so well deserved." 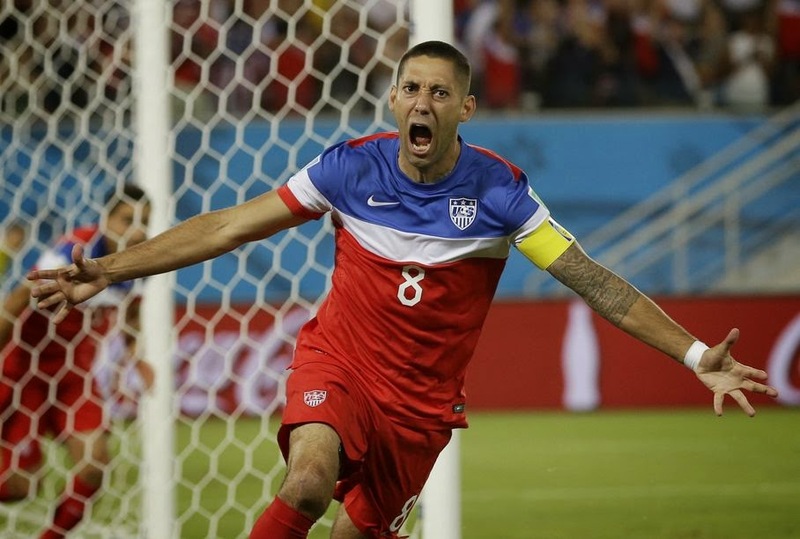 Dempsey's goal made him the first U.S. player to score in three different World Cups and was the fastest ever scored by an American in the tournament. Both goals were surprising. Dempsey's showed the kind of technical flair seldom seen from a squad that typically scores through set pieces. 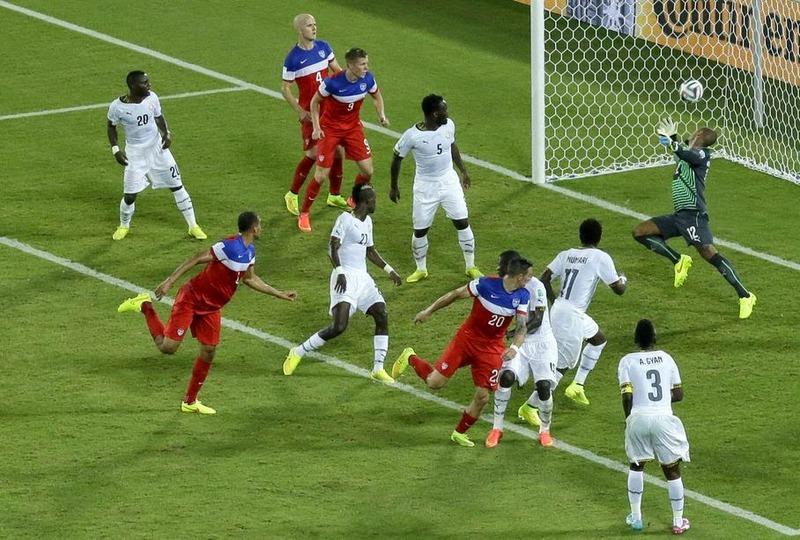 Brooks' game winner came after a long stretch in which the Americans were desperately trying to survive waves of attacks from Ghana. 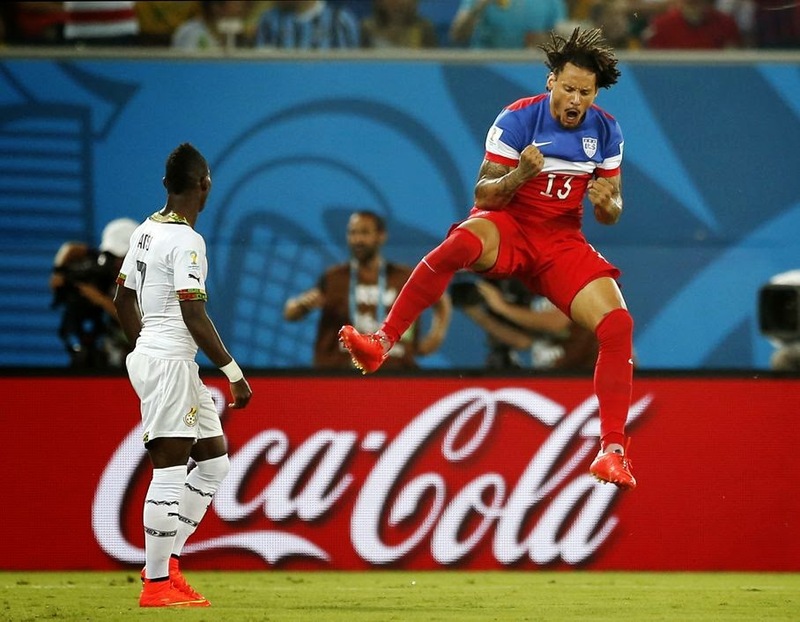 DaMarcus Beasley, who became the first American to play in four World Cups, started the buildup to Dempsey's goal with a pass to Jermaine Jones, who fed it to Dempsey inside the penalty area.